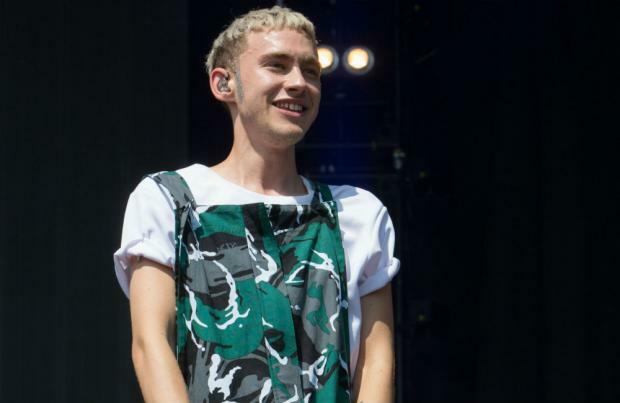 The Years & Years frontman admits his life reminds him of the Spice Girls' spoof documentary movie because of the way he travels between venues. He told Glamour magazine: "The bus jolts to a stop at Wembley Arena. On tour, we travel through the night and arrive at our next venue in the morning, it's like being on a very un-glam cruise ship, crossed with 'Spice World'." The 'King' hitmaker recently bleached his hair and admitted his locks are very high maintenance. "I crawl into bed and wrap my silk scarf around my hair - I know, but bed-head can be a nightmare since I bleached it." No matter where he is in the world, Olly likes to switch off with a "geeky" podcast that reminds him of home. He said: "I have to listen to a podcast before falling asleep. "My go-to is the BBC World Service podcast. Sounds geeky, but it makes me feel at home while we're away and I start to drift off." And the 'Desire' singer is also obsessed with watching old footage of his favourite singers. He admitted: "I end up falling into a YouTube rabbit hole of Celine Dion and Mariah Carey compilations. I could watch their live performances all day."